This page provides outline information on Stahlhammer Bommern and legal information about our Internet presence. 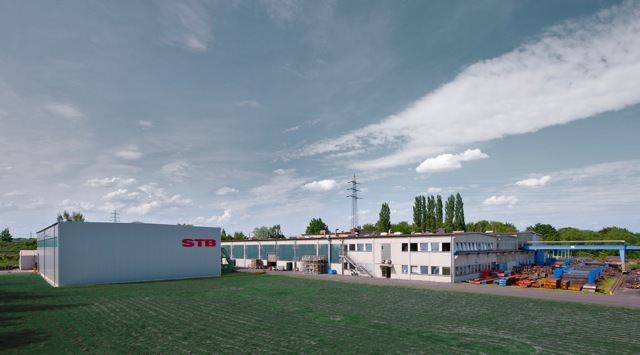 For questions about Stahlhammer Bommern or ideas about the structure or content of this website, please use the a. m. contact adress.The persons displayed on this page are employees of Stahlhammer Bommern GmbH. Some of the data you have entered is subject to data protection. Should you have any questions about our data protection, please contact datenschutz@stahlhammer.de. In principle, you can use our website without disclosing your identity. By entering data (which you divulge in contact fields, for example) you are agreeing that it can be used for our own business purposes (sending requested materials/information, processing for advertising and market research purposes), providing you have not objected to this. Having once given your consent, you can withdraw that consent at any time with future effect. Your personal data will not be passed on to any third party for commercial or non-commercial purposes. This website uses Google Analytics, a web analysis service belonging to Google Inc. („Google“). Google Analytics uses so-called cookies, text files which are stored on your computer and enable your website usage to be analysed. The information the cookie generates about your use of this website (including your abbreviated IP address) is sent to a Google server in the USA and stored there. Google will use this information to analyse your use of the website in order to compile reports about website activities for the website operator and to deliver other services related to the use of the website and the Internet. Google may also send this data to third parties where this is permitted under the law or where third parties process this data on Google’s behalf. Google will never connect your IP address with other data collected by Google tools. You can stop Google Analytics from using your data by installing a so-called add-on in your browser. To do this, you can follow this link which will take you to the Google website: http://tools.google.com/dlpage/gaoptout?hl=de[external site]. Or email: stb@stahlhammer.de. A distinction must be drawn between our own content and links to other providers’ content. We have no influence over their content; the relevant provider or website operator is always responsible for the content on the sites linked. Should you have any queries concerning the processing of your personal data, you can contact our Data Protection Officer who, with a team, is also available to deal with requests for information, other requests and complaints: datenschutz@stahlhammer.de. Copyright Stahlhammer Bommern. All rights reserved. The content including pictures and the design of the Stahlhammer Bommern website are subject to copyright proteciton and other laws for the protection of intellecutal property. No dissemination or alteration of the content of these pages or of the frames or similar measures are permitted. Moreover, these contents may not be copied, disseminated, modified or made available to third parties for commercial purposes. The information that Stahlhammer Bommern presents to you on this website is compiled and updated periodically. It is impossible to guarantee freedom from all errors. For this reason, Stahlhammer Bommern disclaims and exclueds all liability or warranty with regard to the accuracy, completeness and up-to-dateness of the information provided on this website. There is no warranty of merchantability, no warranty of fitness for a particular use, and no other warranty of any kind, express or implied, regarding the information or any aspect of this website. Stahlhammer Bommern reserves the right to undertake additions to the information or data provided at all times without furhter notice. Insofar as our Internet page contain forward-looking statements, these statements are based on opinions and estimations of Stahlhammer Bommern Management and are subject to risks and uncertainties. Stahlhammer Bommern is not obliged to update such forward-looking statements. All liability for such statements is expressly excluded. Unless otherwise indicated, all trademarks used on the Stahlhammer Bommern Internet page are protected by trademark law. The same applies to company logos and signs. The intellectual property contained on this website is legally protected through patents, trademarks and copyrights. This website does not grant any license to use the intellectual porperty owned by Stahlhammer Bommern. Duplication, dissemination, reproduction and further transmission and other use are prohibited without the written consent of Stahlhammer Bommern. Use of this website and the interpretation of this Disclaimer shall be governed by and construed in accordance with the laws of Germany, without regard to conflict of law provisions. Any dispute arising out of this agreement shall be resolved in the courts of Germany. Stahlhammer Bommern and you agree that service of process may be made by electronic mail to your electronic mail address that was used when accessing this website. Stahlhammer Bommern may change this Disclaimer at any time without notice to you and witout liability to you or any other party. It is your responsibility to periodically check this Disclaimer for changes. If you do not agree to any changes made to the Disclaimer, you should cease use of this website. Continued use of this website signifies acceptance of any changes made to the Disclaimer.